The battery of your car is vital because your car can't start without it. Fortunately, car dealers offer a vast array of batteries. However, choosing the best car battery and correct car battery size can be a confusing and overwhelming. 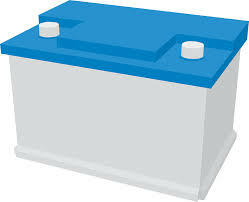 Use the following information to choose the best battery for your vehicle from car dealers. Batteries have varying qualities and capacities, which are directly related to the price. The higher the capacity of battery, the higher the price. As you are checking different car dealers, make sure you choose a battery equal to or marginally more than the battery you are replacing. If you choose to purchase a battery with less capacity, it may not have enough crank power to start your engine. The cranking amps measures the starting power of your battery at two degrees Fahrenheit. It's important to choose a battery that effectively matches the requirements of your vehicle. To determine what type of battery is suggested for your vehicle, check with your repair manual or owner's manual. Why is Battery Amp Important? Choosing a battery with a good reserve capacity will determine how long the vehicle will run on battery power alone. The car battery amp can be vital, especially if your alternator quits on you. When the alternator quits, your battery will not receive a charge and will have to last you long enough for you to get your vehicle to a mechanic. Maintenance-required batteries are less expensive, but require electrolyte levels to be monitored. In most cases, you will have to top off the electrolytes. On the other hand, maintenance free batteries are more expensive, but offer worry-free operation. Once you install the maintenance-free battery, you will never have to monitor the electrolytes. If you have questions about your car battery, check with Bremerton’s preferredused car dealers at the Olympia Automall.